The thing about bead storage is it’s very personal to you. 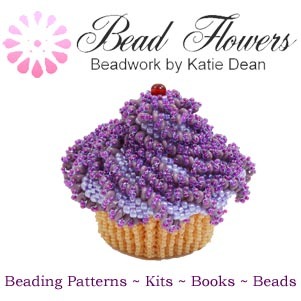 So, if you’re new to beading, then finding the perfect bead storage system for you can be great fun. 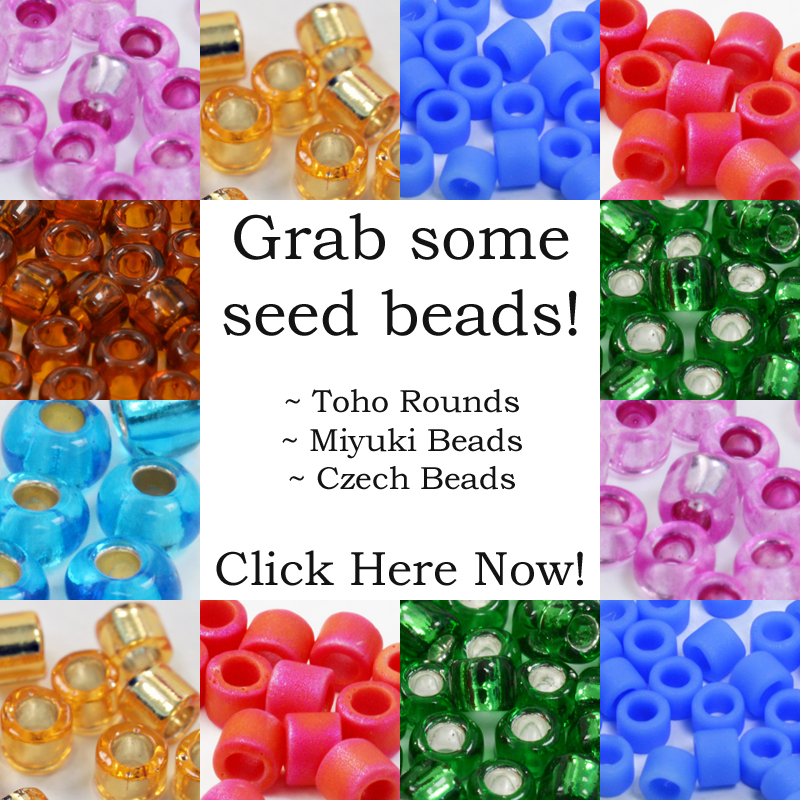 Although you’ll want to try some different ideas, I think there are three things that you should be looking for, whatever bead storage you use. So, what are they? Well, in short: security, visibility and practicality. Keep reading to find out what these mean and why they’re important. This may be the most important thing to look for. When I talk about security, I’m talking about how securely your storage fastens. After all, you don’t want beads ‘escaping’! (Let me tell you, from experience, chasing round the floor trying to pick up 100g of size 11 seed beads because the lid just fell off your pot, isn’t fun! Anyway, I digress. So, what makes good bead storage security? Well, screw top pots or jars are usually good. Just make sure you have screwed the lids on properly each time! You might also check that the pots have a good screw mechanism. If you are using cheap pots, then sometimes the screw thread is a little loose. This can make the fastening unstable. So, if possible, try before you buy! I’m talking about lids that lift off completely (like a margarine tub), or lids that lift up, but fasten down with a clip. Again, these make great bead storage in theory. Just check that the clip is secure. Sometimes a clip can get a little loose with age. On the other hand, there is such a thing as too secure! What do I mean? These are great, but only if you seal the bag properly. Well, duh! But seriously, it’s all too easy to think you’ve fastened the seal, but find you haven’t. So, take good care. And make sure the bags don’t have any holes in them! I’ve had incidents where I kept finding beads and couldn’t work out where they were coming from… Until I picked up a bag of beads and a little stream fell out! So, in general, if you want to use this for permanent bead storage, I suggest double-bagging. That way, if the seal accidentally pulls apart, or the bag has a hole, at least your escaping beads won’t get too far. Again, these are only as good as the fit of the lid. Bear in mind, lids can loosen over time, especially if you are pulling them on and off a lot. Plus, the same thing applies about those stiff lids that come off too fast and eject the contents of the pot in the process! So, when you’re buying your bead storage, remember to check with friends for recommendations. Or check product reviews. You can be sure that unhappy customers will have reported any sub-standard security issues! So, what do I mean by visibility? Well, simply, can you see through the storage pot? Let me tell you why visibility matters. 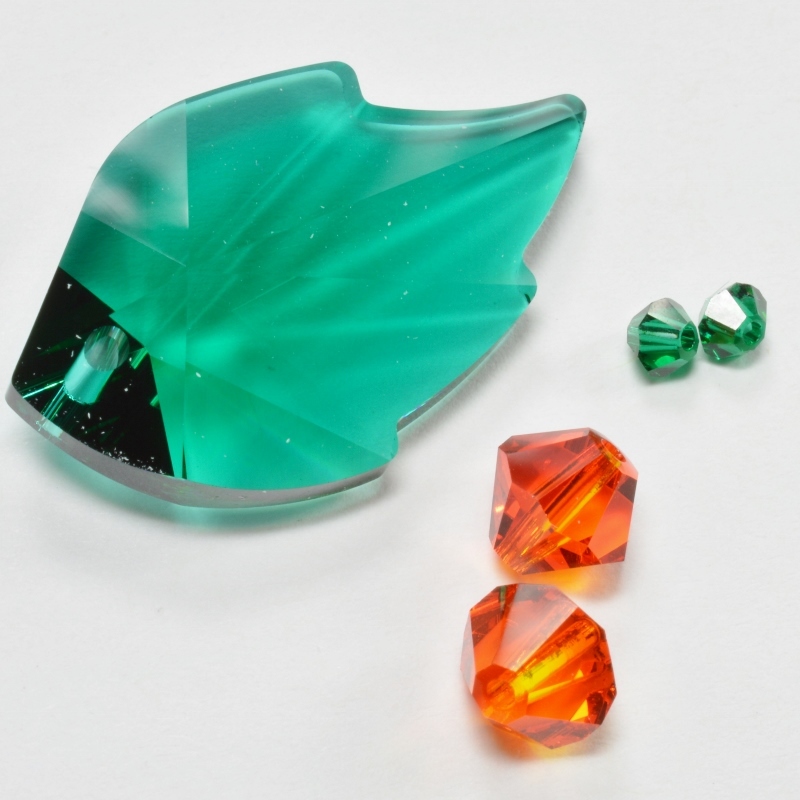 If you are looking for a particular bead colour, you want to be able to see it right away, without having to open your pots and check what is inside. However, if you have a standard bead, like white 4mm pearls, you know what they look like. So, do you need to be able to see them inside the pot? Maybe not. You could just write a label to stick on the pot to tell you it contains white 4mm pearls. Although, I have tried this method and it takes a little longer to read the labels as I hunt through stacks of pots. So, on balance, I would recommend using something you can see through. Then, as you look through your stash, you can see at a glance exactly what you’re looking for. Odd shaped jars might be a bad idea. They meet the criteria for security and visibility, but have you ever tried stacking odd shaped jars in a cupboard or lining them up on a shelf? They look great if you have endless space to create a fun display. But if your bead stash is growing and your significant other has placed rules on where you can and can’t store your beads, then storage systems that stack efficiently are essential! Then, think about size. It’s lovely to be able to empty the contents of a 500g bag of seed beads into one single pot. But what happens when you want to pack it in your suitcase for a vacation? OK, so we all know that beads are more essential than clothes when it comes to packing. I mean, who doesn’t sort out their beading project before they decide which clothes to pack? But it’s a good idea to fit at least one change of clothes in your suitcase beside the beads! …not to mention those pesky weight restrictions on airlines! So, yes, pots in a mixture of sizes are a good idea, so you can take smaller quantities when you go travelling. Now, this really is a matter of personal taste. So, you’re not going to know until you try a particular bead storage pot. But access is critical. …unless it’s the frustration of not being able to get them back into the storage container again when you pack up! So, think about the size of the opening on your bead storage. Personally, I like something with a large opening. Then I can use a bead scoop to scoop the beads out and pop them back. So, you may not be able to try the practicalities until you get your new bead storage home. But you can take note of things like size and shape. Think about how large the opening is and whether that is going to be convenient for you. 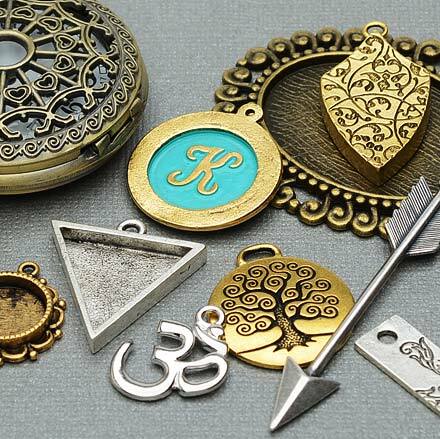 As with everything else in beading, all this comes with experience. You’ll learn a lot from those ‘mistakes’. So, maybe don’t be tempted to buy all your bead storage in bulk. 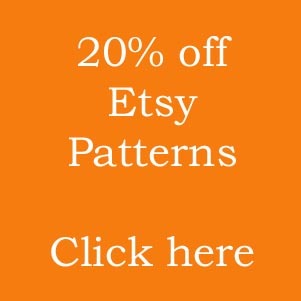 Try one sample first, then if you like it, go back and get that bulk order that will fit all your beads! And, if you have some great bead storage pots that you want to recommend to others, just leave a comment below.